I'm a full-time freelance ghostwriter and editor in New York offering ghostwriting and developmental editing services to book authors. 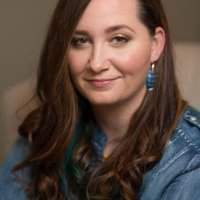 I'm a full-time freelance writer based in New York with 10 books of my own, most published by Running Press/Perseus Books, and 23 ghostwritten books. I have also developmentally edited more than 50 books that have won 30+ awards, including the Best Beach Books Festival Grand Prize. My ghostwritten and edited work has been published by such houses as Macmillan, Hyperion, and Hay House, and my work has appeared on the New York Times Bestseller List. I specialize in non-fiction, particularly self-help/prescriptive work, psycho-spirituality, popular business, cookbooks, medicine/health, and memoir. I also help clients with their book proposals and offer advice as to structure, titles, and publishing strategies. Proposals I have written have gone into bidding wars and have been bought by publishers like Penguin Randomhouse, Little Brown, and more. Additionally, I'm a journalist and photographer who specializes in travel and entertainment topics. I'm a full-time, self-employed solo practitioner who specializes in the ghostwriting and developmental editing of non-fiction books - primarily prescriptive (i.e., educational or self-help) non-fiction.